A spotless and well-maintained exterior can significantly increase the curb appeal of any property. If you find your driveways or siding starting to build up dirt, grime, and other unwanted elements, contact Eye See Klean, LLC right away. We are a property maintenance company serving homeowners and business owners in Elizabeth City, NC and the surrounding areas. Under our meticulous, capable hands, your properties will look brand-new. Make us your go-to source for exceptional power washing services today! The sole purpose of Eye See Klean, LLC is to provide our clients with unparalleled property maintenance services, both commercial and residential, as well as fleet washing solutions to aid in the protection of their property. We are a value-added cleaner service that always goes above and beyond expectations. We strive to add a long-lasting relationship with our customers that we call family. This is accomplished through our dedication to Grade-A services to our clients, our industry, our employees, and ourselves. We guarantee your 100% complete satisfaction. We have friendly, efficient, and helpful staff ready to assist you. We offer honest, reasonable rates. We offer superior residential and commercial property maintenance services. We promise to provide you with stellar customer service every time you do business with us. We serve clients within a 150-mile radius of Elizabeth City, NC. 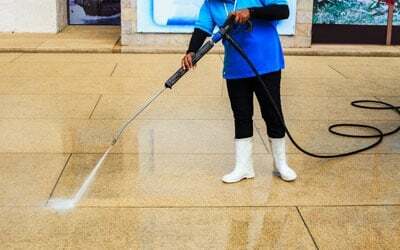 At Eye See Klean, LLC, we take pride in the power washing services we offer. We use state-of-the-art equipment to ensure the delivery of impressive results. Give us a call or send us a message today to learn more about our property maintenance company and how we can be of service to you. Our services are available to clients within a 150-mile radius of Elizabeth City, NC.